Language, literacy and numeracy are learned progressively in key spaces, which come to shape future uses and come to influence what is spoken about, what is read and what is calculated. 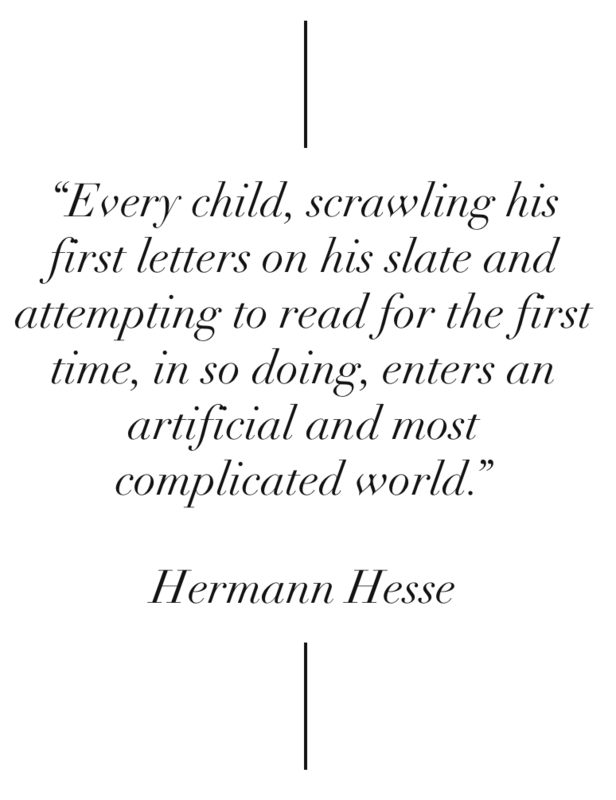 I want to paint a picture of the child who is regularly engaged in conversation, regularly engaged in reading and writing and who is regularly engaged in calculating. I want to paint the picture of skills and concepts being developed (one on top of the other) carefully so that the range of cultural uses of the tools are acquired (not just one narrow band). I want to paint a picture in which the consolidation of one skill or the revelation of something read or written merely becomes the blueprint of what is to come next. The child evokes imaginative play, cautionary advice, reflective practice on information, assessment of quantities, and more. The adults in a child's life initiate the child in the practices which will become more and more demanding over time. Every text read and written will become a template for the next. And every numerical question solved will be used to influence those to come. There is no silver bullet for the ongoing skills which are acquired. Quick fix educators may hope to resolve issues of language, literacy and numeracy without appealing to the hundreds to thousands of encounters which contribute to their development, but the fact of the matter remains: learning to read, write, speak and calculate requires hundreds and thousands of encounters with more advanced peers and adults providing feedback, establishing expectations, providing encouragement and shaping practice.